A book about one of the Netherlands’ most notorious gangsters and written by his sister topped the Dutch best seller list in 2016. 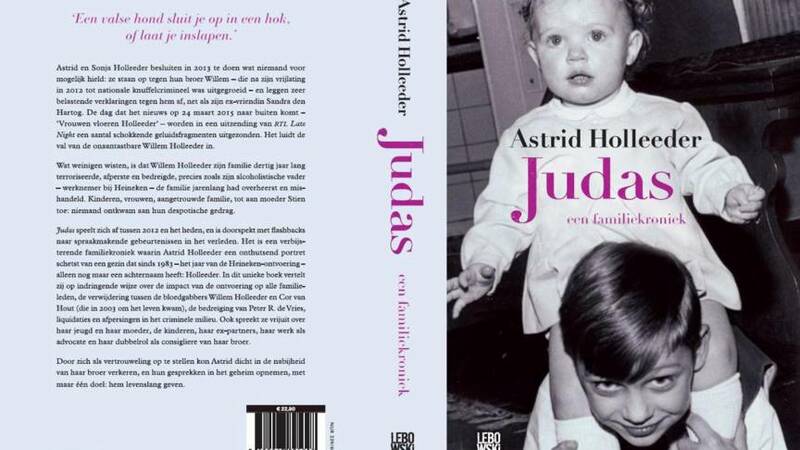 Astrid Holleeder’s autobiography Judas sold more copies in 2016 than any other book, Dutch book promotion platform CPNB said. In it the book, Astrid Holleeder, whose brother is gangland boss Willem Holleeder, describes her violent upbringing and her brother’s menacing and terrorising presence. Willem Holleeder is presently in a high security jail suspected of six murders. His trial is ongoing. Astrid wrote the book in the deepest secrecy and its publication was only announced one day before it hit the shops on November 5. Since then nearly 380,000 copies have been sold. Astrid, who has testified against her brother, is convinced he will have her killed, she told the Volkskrant in an interview in 2016. ‘It is only a matter of time. The thought of getting his revenge is the only thing that is keeping Willem going. That is why I have written the book,’ she said at the time. Willem Holleeder has dismissed the book as being ‘full of lies.’ ‘If that book wasn’t about me I would be as shocked as the next person. But what Astrid says is not true,’ he said during one of the court sessions. Coming in at second place behind Judas are J.K. Rowling’s Harry Potter and the Cursed Child and Huidpijn, a thriller by Saskia Noort.